It’s strange that I can remember what I was teaching that morning in my ninth grade history class almost a half-century ago: Roman General Varus’ loss of his three legions – and his life – in Germania. 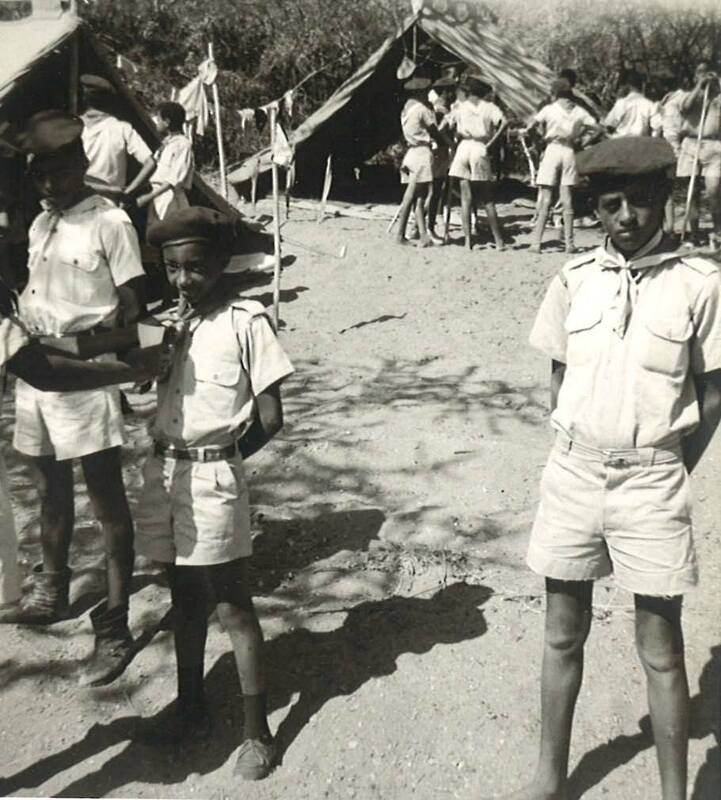 In those days, you found the ninth grade classrooms in the academic section at Tafari Makonnen School lined up in a row in a single-story stucco-faced building behind the main administration building. TMS teachers were itinerant, traveling the sprawling campus from class to class, while the students stayed together all day. I think I was in 9-C that morning. Anyway, the angry voices from the classroom next door that have been distracting my students for the past ten minutes or so have turned into a real ruckus that I can’t ignore any longer, so I stop lecturing and walk over to the window to find out what’s going on next door. I’m flabbergasted by an extraordinary sight: students actually pushing a fellow Peace Corps teacher out the door of their classroom. “Oh my God,” I think, “there’s some kind of revolt going on. What if it spreads?” Several of my students have jumped up to join me at the window, and I’m standing there wondering what I can possibly do when, thank heaven, one of the Jesuit administrators arrives on the scene, and order is restored. Back to Rome in the time of Augustus. 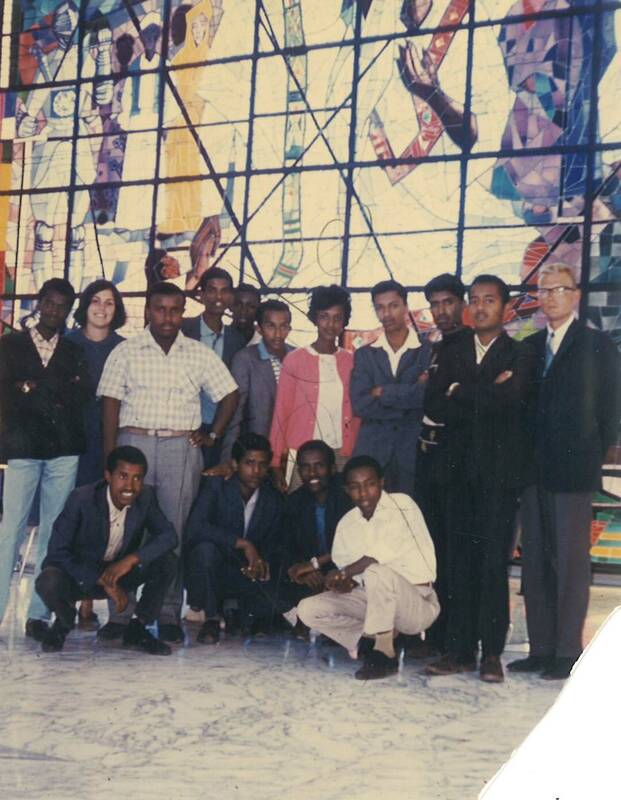 It turns out that my Peace Corps friend and colleague, in good naïve American fashion, had violated some cardinal rules of the Ethiopian classroom: be formal, keep your distance, take a business-like approach to teaching, and for God’s sake, don’t try to turn your students into your friends. 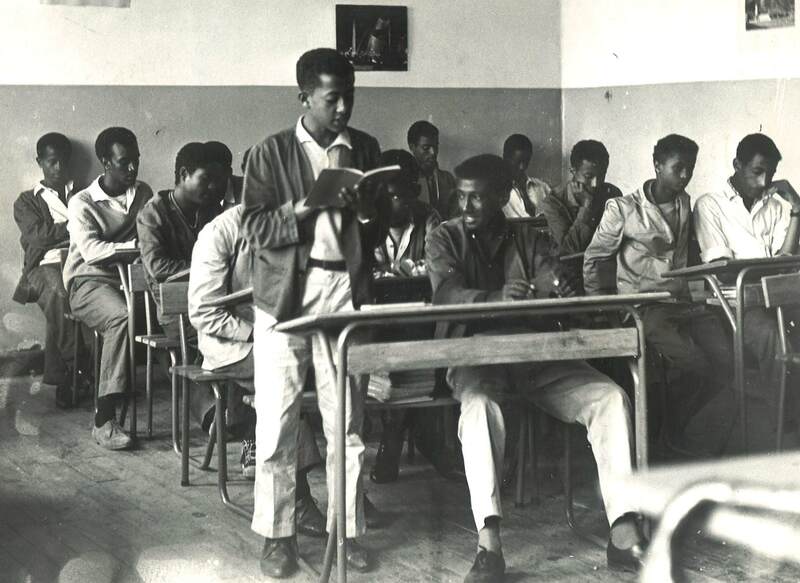 You see, education was no casual matter to our students at TMS, and, so far as I could tell, all over Ethiopia. We aren’t talking about blasé, mildly bored American students here. Education was THE key to a better life in a desperately poor country, and our students came to the classroom – many after a long trek from the provinces, and some even barefoot when arriving in the capital city – with sky-high expectations. To their mind, education was a terribly serious business, and we teachers were very important people in their lives. 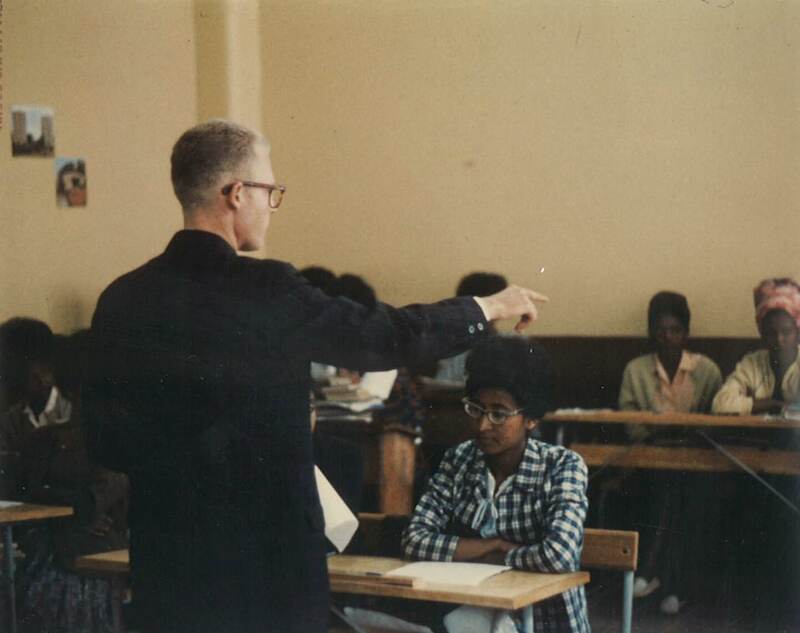 Their passionate commitment and high expectations were a major reason why teaching in Ethiopia in the 1960s was so satisfying. You couldn’t help but feel what you were doing in the classroom was making a real difference. But woe unto you if you broke the unwritten contract with your students and appeared not fully in command or the least bit frivolous in the classroom, as my friend learned to his acute embarrassment. By the way, this little story has a happy ending. My friend, having learned his painful lesson, bounced back and become a very in-command, popular teacher. On reflection, it’s surprising that not more of us Peace Corps teachers at TMS ran into problems in the classroom, in light of our pretty skimpy preparation. 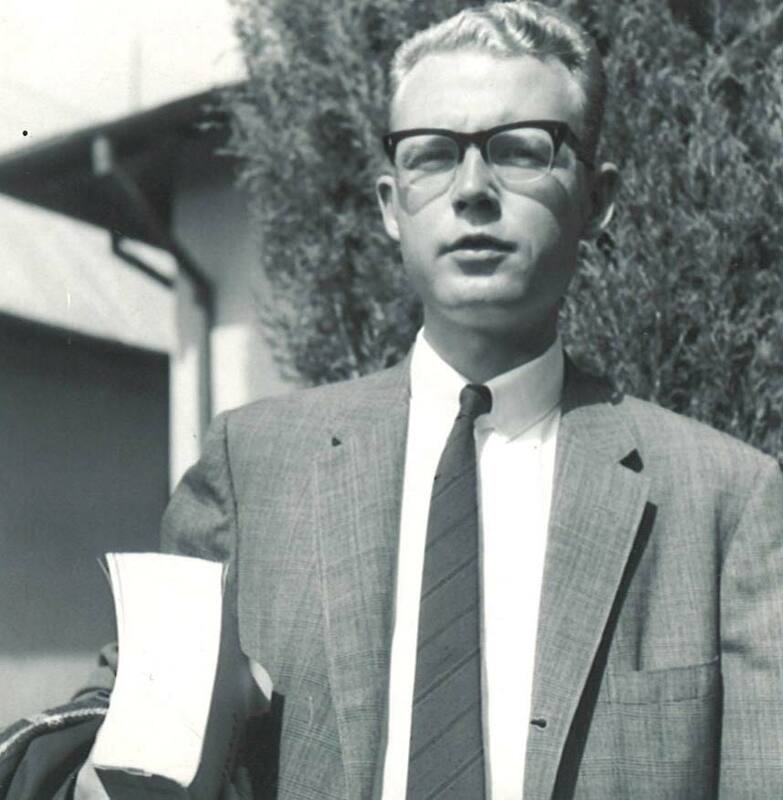 The great majority of my group – the “Ethi IIIs” – didn’t come from education colleges in the States or draw on real-life teaching experience, aside from a brief stint of student teaching in LA schools as part of the Peace Corps training program at UCLA. And the orientation I received from the TMS headmaster, Maurice Richer, a week or so before the fall semester began in 1964 couldn’t have been briefer: I was given my teaching schedule of seven or eight different classes of eighth and ninth grade ancient history and tenth grade English and told where I could pick up my copies of the textbooks for my classes. That was it, except for some handy tips on classroom procedure, such as asking students to be seated after the silent prayer that opened every class, expecting students to stand when reciting, and the like. Nothing else. You were basically on your own, learning on the job. On top of our lack of professional education courses and extensive classroom experience, many of us Peace Corps teachers at TMS found ourselves saddled with badly outdated textbooks, which meant having to create supplemental materials while also learning the teaching ropes. My own crisis was less dramatic than my buddy’s being run out of class, but extremely stressful nonetheless. I vividly recall waking up in the wee hours for four or five days in a row around a month into my first semester at TMS, feeling totally overwhelmed and frightened. I’d been faithfully going through the 19th century English literature text that’d been assigned to my tenth graders (Does George Eliot’s “Mill on the Floss” bring back happy memories, or even ring a bell? ), having my students read passages aloud, explaining a culture long gone and trying to clarify abstruse phrases. The weekly quizzes I’d been giving indicated that some relatively unimportant facts were being learned (such as the names of characters and locations), but few of the truly important concepts you’d expect to glean from good literature. Worse, their brief essays were for the most part incoherent. My students were growing more frustrated by the day, as was I, and I really did fear I might be facing a revolt if things didn’t change in the very near future. As I lay awake in bed one night, it finally hit me (I admit that I’m not fastest learner in the world) that I couldn’t win at this particular game; rather, I had to begin a new one with new rules. My students had to tackle first things first: learn to speak and write correct English, starting with the simplest declarative sentences, and working their way up to more complex constructions, and they weren’t going to learn how – not in this lifetime – by plowing through Victorian literature. The solution? Write my own “textbook,” in the form of page after page of practical real-life exercises, involving for the most part filling in the blanks. To give you a sense of the pace of technological change over the past half-century, I hand-wrote these exercises, which were then typed on what were called stencils, and, using the stencils, copies were run off on the mimeograph machine (You can probably find one at the Smithsonian if you’re curious). After three years, I was pleased to hand my “book” to an incoming Peace Corps teacher who was saved from the anxiety I’d experienced. This was probably a pretty typical Peace Corps teaching experience, so I don’t deserve any special credit for ingenuity. Did we Peace Corps Volunteers at TMS during my time there consciously see ourselves as ambassadors of the United States? Speaking only for myself, I’d answer “yes,” but definitely not in the sense of being a formal part of the American diplomatic establishment in Addis or being passionate defenders of the democratic or capitalistic faith, either in the classroom or outside. 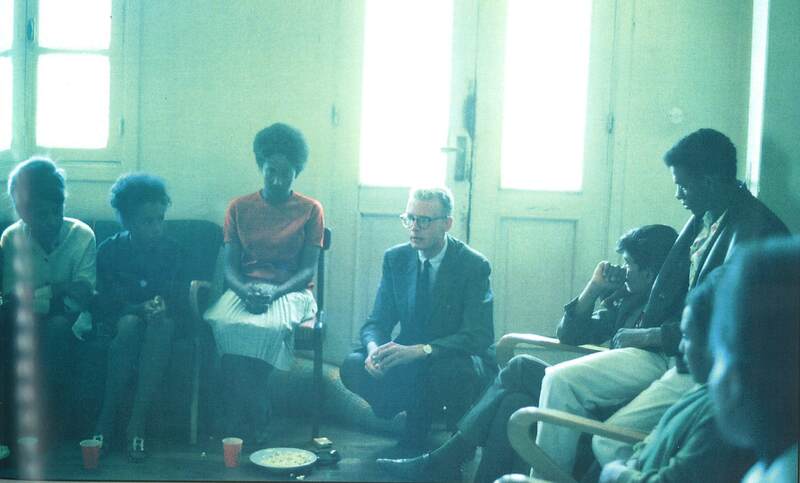 I can recall only one visit to the American Embassy during my three years in Ethiopia – to spend a memorable evening with New York Senator Bobby Kennedy, who, as you’d expect, was a strong advocate for the Peace Corps. And evangelical patriotic fervor would without question have boomeranged, doing far more harm than good. I think most of my TMS colleagues would agree that our most effective friend-making for the good old US of A resulted from doing our utmost in the classroom – letting good works speak for themselves. But, looking back, I’m pretty sure that informal interaction outside of the classroom was a pretty effective tool for teaching – without preaching – about America. Over the course of many Saturday open houses for our students at our home just two blocks from TMS, directly across from the main gate of Empress Menen School, sitting around the living room munching popcorn and cookies, we shared details of our lives and answered questions about our country that would’ve been inappropriate in the classroom. When I shared some of my own story one Saturday afternoon – a small town baker’s son whose mother went to college in her forties, with five of us six kids still at home, and who was able to go to the University of Illinois on the way to building a new life for himself – I could tell from the expressions of the students sitting around the living room that I’d conveyed something really essential about America as the land of opportunity. I think it helped, by the way, that we went out of our way to be candid, and not defensive, about obvious national shortcomings. 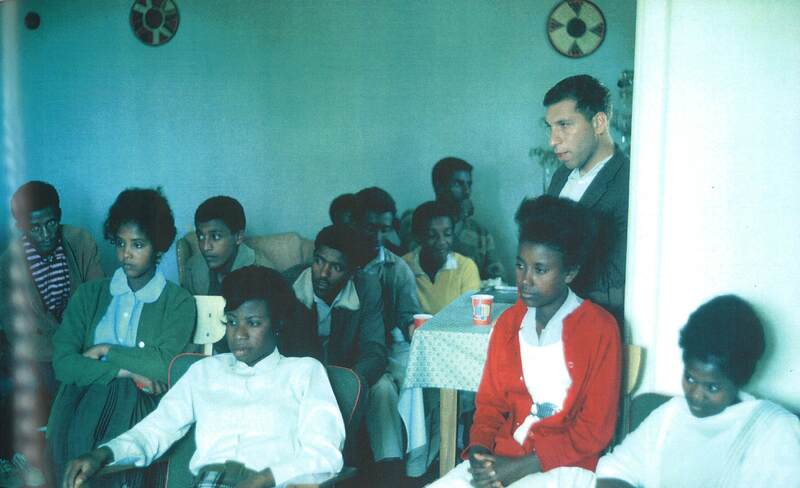 Yes, we readily admitted, millions of African Americans had lived in slavery a mere hundred years before my Ethi III contingent arrived in Addis Ababa, and a tremendous battle for equal rights was still being waged under the leadership of Dr. King and others while we were teaching at TMS. And, yes, we acknowledged, there were ghettos in cities like, Cleveland, and Detroit teeming with Americans not fully living the American dream . These were facts; we didn’t deny them. But we could honestly point to significant progress on that front, including the Civil Rights Act of 1964. I must acknowledge that our indirect ambassadorial role was made much easier by the times we were living and working in. We were only 20 years removed from World War II, and President Kennedy, a hero throughout Africa, had been killed less than a year before we arrived in Addis. And, of course, Viet Nam wasn’t yet a full-blown war, and Iraq was years in the future. We didn’t really have a lot to defend in those days. Our students’ appetite for information about JFK was insatiable, by the way. 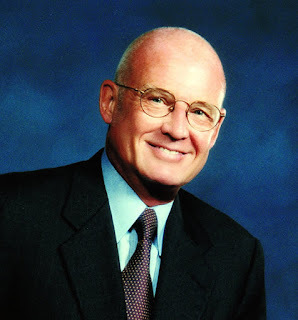 When I told how I’d stood on the street in Washington on November 25, 1963, watching Emperor Haile Selassie walk by with other world leaders in President Kennedy’s funeral procession, they were enthralled. Your intelligence may be in your hands and in your fingers; in your memories or in your imaginations; in your powers of abstraction or in your powers of concentration; in your quick minds or in your logical powers of reasoning; in your hearts and intuition or in your sharp analysis of facts; in a scholarly life spent within the four walls of a library or in the active life with the boundless horizon as a limit. You may have one or many of these traits; but if you don’t live and think for others and in terms of others, if you don’t use your gifts to make others happy, if you always set yourselves as the norms of all things, if you think that you have everything to give, but nothing to receive, to me you will never be able to claim that you are intelligent persons. I grew especially close to Fr. 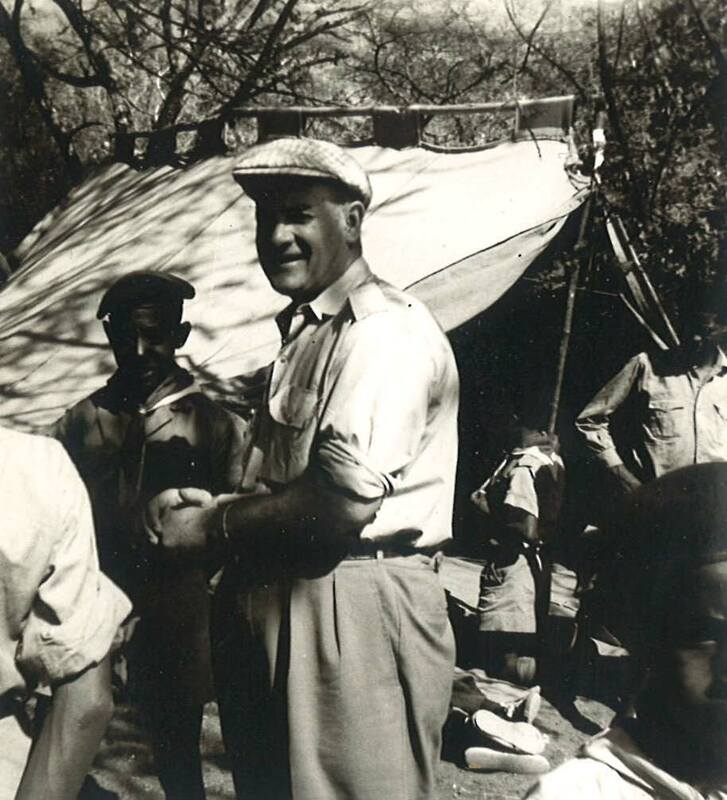 Paul Beaudry, beloved French teacher and Scoutmaster, who presided over the annual two-week Scout camp at beautiful Lake Langano, around 200 kilometers south of Addis Ababa, where we Scouts and teachers gathered every evening by the campfire for songs and traditional dances. I fondly recall nightly sitting with other teachers at the entrance to Fr. Beaudry’s tent, enjoying post-campfire cigars and sherry and musing about the future of our students and their country. From a land where so much is changing nowadays, and where so much remains to be done, we ask that your prayers obtain for all concerned the selflessness we are taught in the birth of the Lord, without which we cannot achieve the peace and order we yearn for. Sadly, that peace and order would be long in coming.